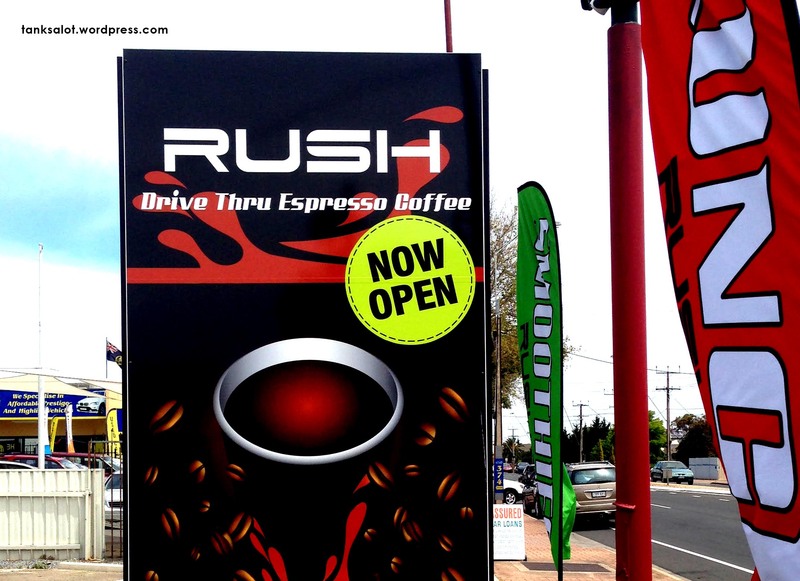 I was a little skeptical on this one, but I have to admit, it’s a ‘drive-through’ coffee shop, so yes – you get your coffee rush when you’re in a rush. Could be our first one-word PSN? Spotted by Simon O’Brien in Collinswood SA. 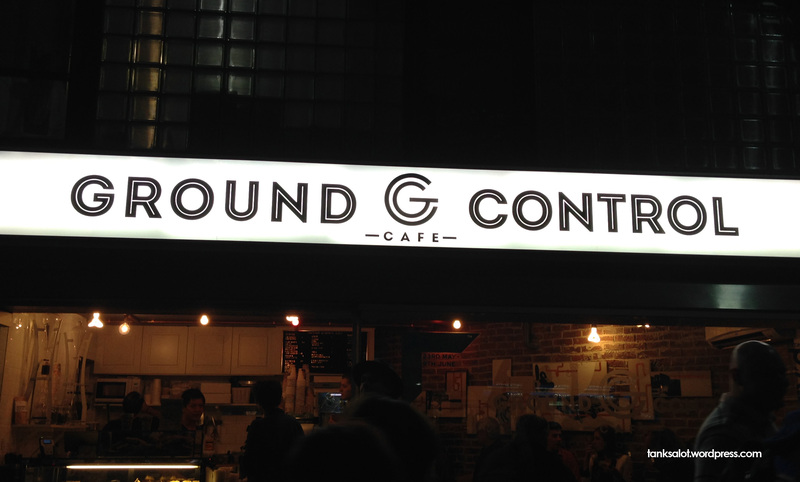 This is where Major Tom gets his Chai Lattes. 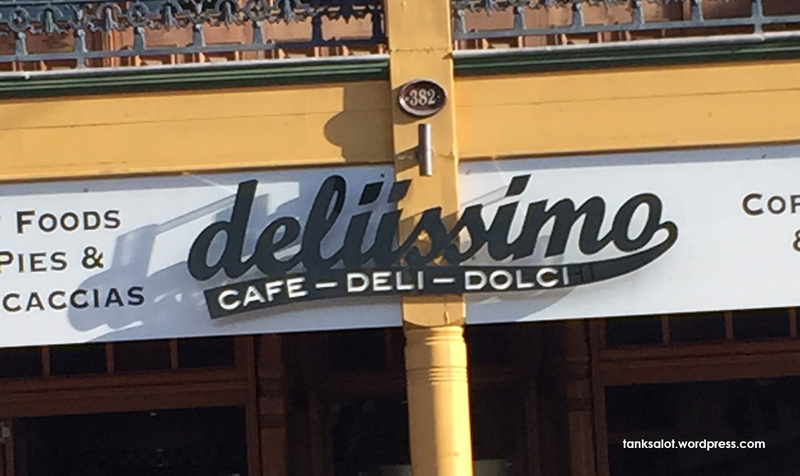 Would be better if it was located at NASA (or at least an airport), but was spotted by Nadia McCrohon in Circular Quay, Sydney NSW. Cereally? 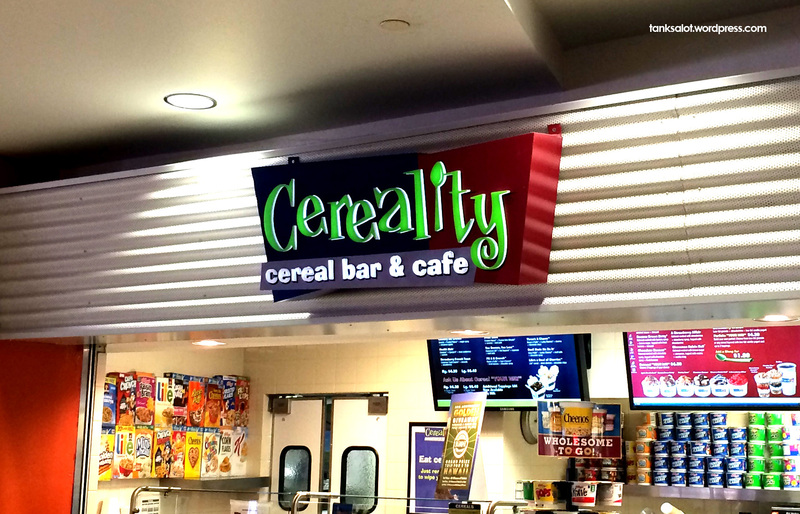 A shop that sells bowls of cereal? Straight from the box? Spotted in Dallas Airport, Texas. 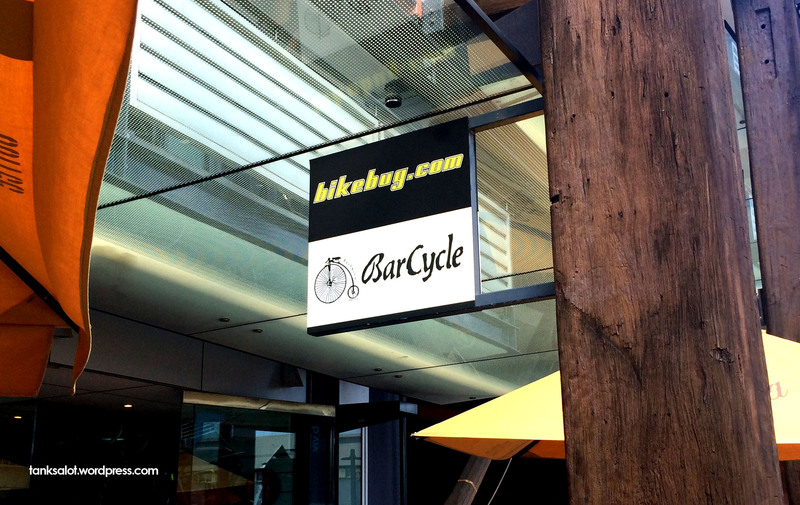 I wonder how many cyclists ride away from this ‘bar’ disappointed they serve coffees, not Margaritas. Spotted in Walsh Bay, Sydney. 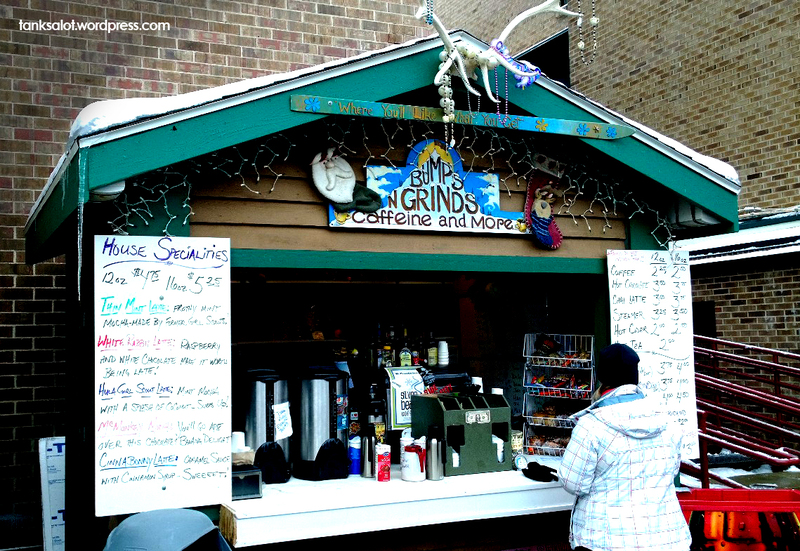 Sporting the rather passive/aggressive slogan “You’ll like what you get”, here’s a coffee shop for the snow crowd, spotted by Jonathan Schneider in Park City, Utah. Presumably the ‘more’ is mainly attitude. 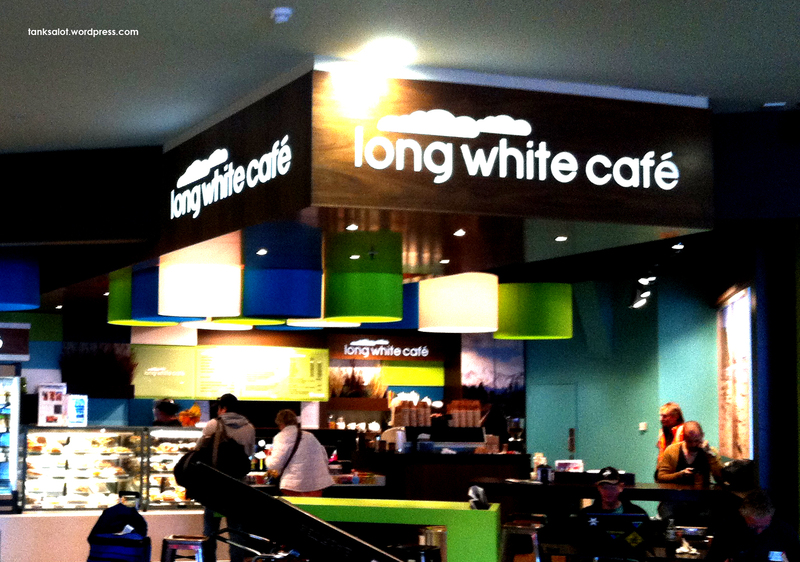 From the land of the long white cloud comes the long white cafe where they serve short blacks. Spotted in Auckland Airport by Michael Birchall.